Legends conform to the standard FHWA/M.U.T.C.D. 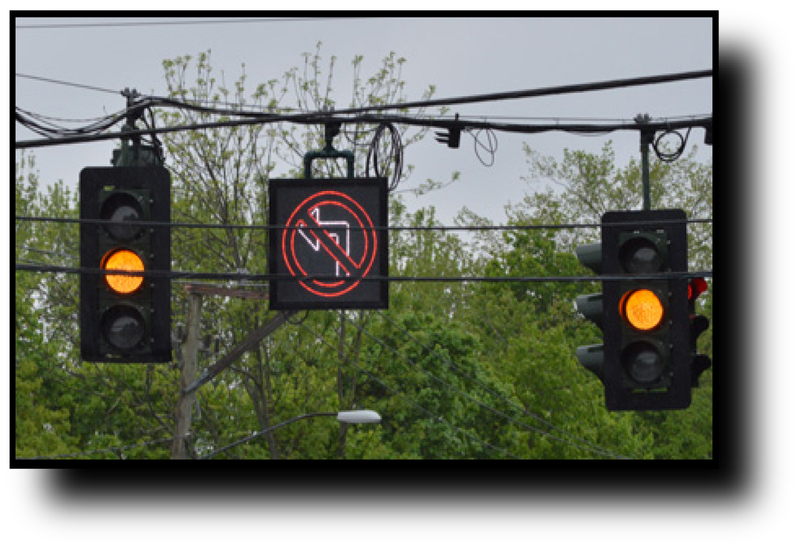 Many people have been injured with the new regulation of "turn on red". 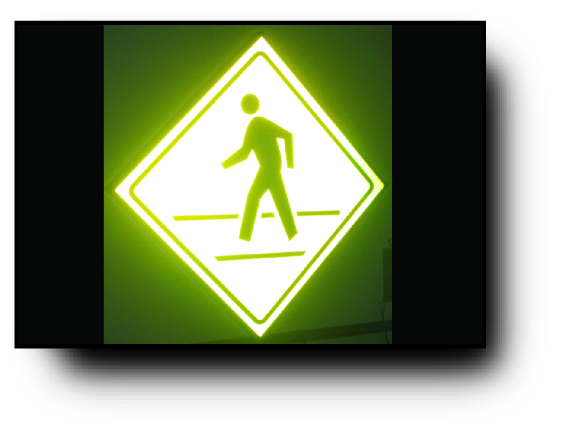 Our illuminated cross walk signs give the motorists notice that someone is in the cross walk well in advance. This saves lives! The sign automatically powers on with pedestrian walk signal. 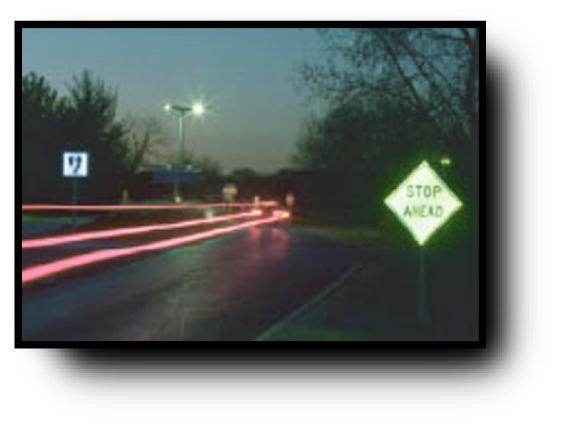 The faces are diamond grade reflective sheeting and MUTCD compliant. Frame is only 3" thick. Unit comes with our rugged 2 5/8" thick frame system that we use on our street signs. 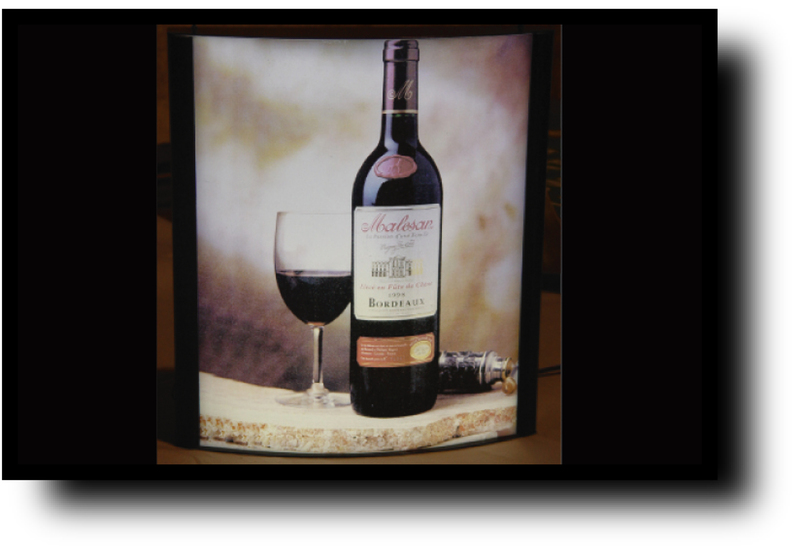 Signs instantaneously turn on and are virtually maintenance free. 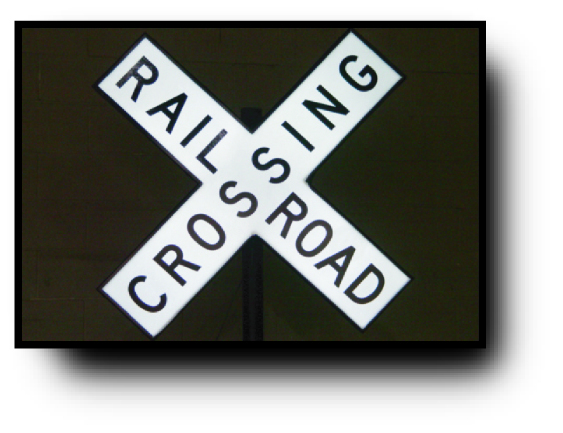 Another safety issue that FLN-MAR has developed is the illumination of railroad crossing signs. These signs are developed to be installed well before the crossing for advance recognition. These units are designed like the pedestrian sign units utilizing our rugged 2 5/8" thick housing and they can be incorporated with any push button or wireless system. Warehouse / Counter Feedback . . .
Only place I'll go for my hoses& fittings!!! L.E.D. Signs Feedback . . . The signs look great! Great quality, easy install. Fabrication Feedback . . .
Just a quick note to acknowledge a great service experience. Your techs were thorough and professional. Our problem was addressed and solved very quickly. Thank you FLN-MAR. Fabrication Department Solution . . .
FLN-MAR is always my first and last stop for some of my most difficult problems to solve. They always have something for me, to help me solve problems and supply the parts I need. Great people to work with! Fabrication . . . . These guys do awesome business! They offer quality products and service . . . . and they work on Saturdays too. Have really helped us out when we have been in mechanical jams. Definitely recommend FLN-MAR to all!! !